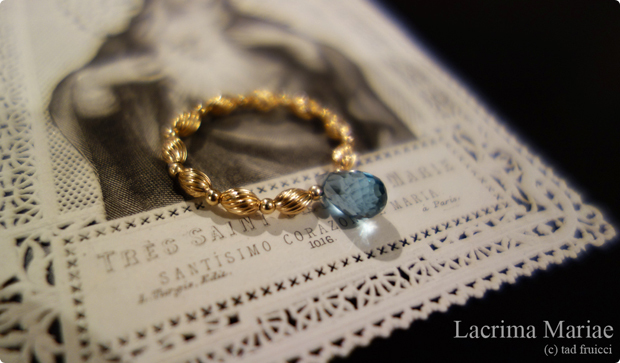 There are many different small rosaries/rosary rings, but i haven't found the one which i really like, so i made it by myself. SANGUIS CHRISTI: it means the "blood of christ" in latin. 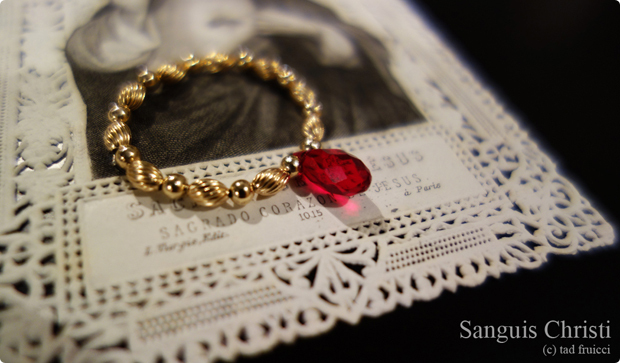 the pear shaped red swarovski is used to express a drop of precious blood of christ which was shed for our salvation. LACRIMA MARIAE: it mean the "tear of mary" in latin. the pear shaped blue topaz is used to express a drop of tear she shed for our salvation.